For anyone who has ever complained that teenagers are self-absorbed, or that little kids cannot tie their own shoes, let alone clean up after themselves – take a closer look. At Bertha Sadler Means Young Women’s Leadership Academy in Austin, Texas, a middle-school girl stands near a purple mountain laurel tree blooming in a planter. From where she perches on the ledge, her classmates can see and hear her. So can her environmental science teacher, Audrey Dyer. “I feel like more people throw their trash in here,” the student says, looking down into the tree’s planter. She sweeps her arms, drawing everyone’s gaze around the courtyard the students helped to beautify, making suggestions on how to protect their green spaces from litter. Dyer’s other students gather closer, chiming in with their own ideas. Mental gears are clicking. 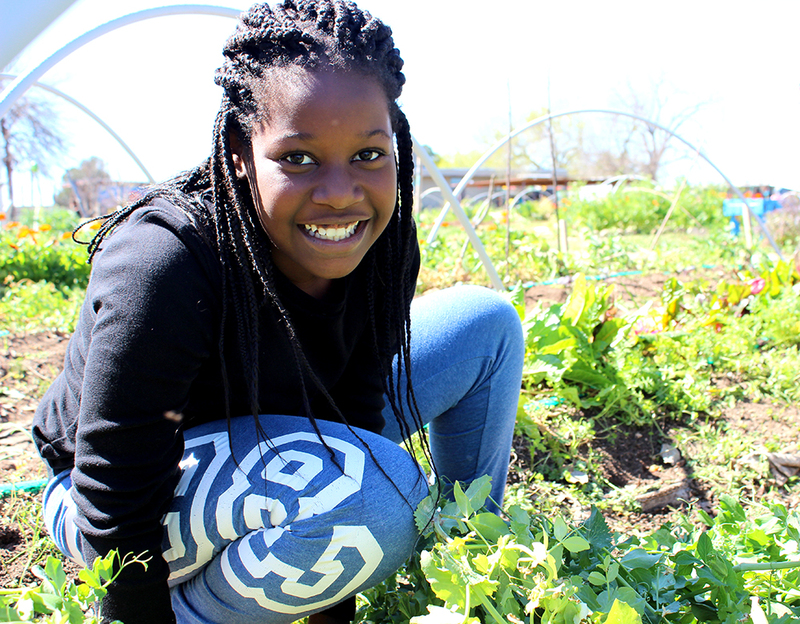 Across town at Austin Discovery School, elementary school students share what they have learned about buying ethically-sourced eggs, then dash around their school’s vegetable gardens, pointing out their favorites. Their teacher, Thora Gray, explains how her class is also a project in economics. The off-screen actor in these scenes is EcoRise Youth Innovations, an Austin, Texas-based nonprofit that seeks to fill a crucial gap in sustainable development education. But just as the issues are complex and far-reaching, EcoRise’s purpose cannot be explained in one word. Through teacher trainings, original curriculum, grant programs for student-led eco-audits, and professional connections, EcoRise builds 21st century skills that can be applied across sectors, rejecting rote learning for a project-based approach to eco-literacy, social innovation, and design. “EcoRise has evolved tremendously over the years, but the heart of our work remains the same: empowering youth to step into their potential as leaders and changemakers,” says Gina LaMotte, Executive Director and Founder. By the numbers, EcoRise’s impact is explosive. From 20 students in 2008 to over 64,000 in 2016, the organization currently reaches over 600 schools and 750 teachers worldwide. Eighty-three percent of students assessed said they had gained knowledge in eco-literacy and sustainability that they did not have before, and over 70 percent said they had acquired 21st century skills like goal setting, project management, and public speaking. Attention to in-person and online partnerships has allowed EcoRise students and classrooms to connect with over 10,000 STEM industry professionals. It has also allowed for curriculum writing through a U.S.-Mexico partnership, resulting in a standards-aligned, bilingual product for kindergarten through 12th grade called Sustainable Intelligence (SI). 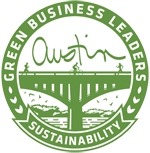 In 2016, SI was launched in over 26 countries and is hosted on the Learning Lab, an online platform launched by the U.S.Green Building Council’s Center for Green Schools. Design Studio, another feature of the EcoRise curriculum, offers the creative problem solving aspects of project-based learning using design-thinking methodology. Its lessons are practical, visual, fun, and easily applied beyond environmental science themes. The ability to adapt EcoRise curriculum to the interests of individual classrooms can be seen at Cedar Park High School, another Austin campus, where students in Dr. Shannon McPherson’s class lead themselves, and literally harvest the benefits of EcoRise’s grants, trainings, and industry connections. A group of boys with shovels enthusiastically works in their school’s new vegetable garden, preparing the soil for the snap peas, radishes, tomatoes, and other seedlings they have started in cups. “They were crowding each other, so what I did was I spread ‘em out,” explains one, gesturing at the beds. “It’s more of like a team, and not an actual class,” says a girl as she repairs one of the recycling bins from around the school. And it is true. While she works on the indoor human-created system, and others are outside working with naturally-created systems, a small team is over at the computers, working on grants and project presentations so that all their learning can be shared and continued. Expanding teacher trainings from the current Texas, Boston, and Washington D.C. schools to go worldwide is the next step. But LaMotte says the intrinsic value of sustainability education, not just the numbers, matters too. The bright students in EcoRise’s partner classrooms may not fully understand yet what that could look like, given how today’s technology and global priorities shift so quickly. But for now, their teachers – and EcoRise – are thinking ahead: what are the lasting implications of teaching kindergarteners to assess their personal use of water, or a teenager to see an ant as an architect? Perhaps the solutions to sustaining life tomorrow are sprouting in a schoolyard today.